While energy-saving efforts have been keeping costs down for Ohio ratepayers, a legislative “freeze” to the state’s efficiency standard raises questions about whether that will continue, particularly with new EPA carbon regulations on the horizon. The capacity portion of Ohioans’ electric bills will go up for June 2017 through May 2018 as a result of May’s auction by grid operator PJM Interconnection. 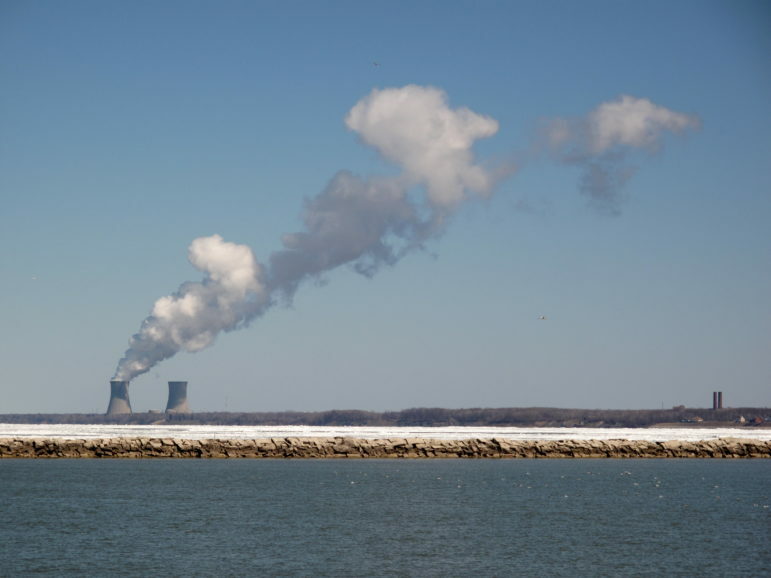 If it weren’t for energy efficiency, though, experts say the closing price of $120 per megawatt-day (MW-day) for Ohio and various other parts of PJM’s territory would have been even higher. Last week’s passage of Ohio Senate Bill 310 raises doubts about how much energy efficiency can help Ohio consumers in future auctions. SB 310 would temporarily freeze but then substantially alter Ohio’s energy efficiency and renewable energy standards. A spokesperson for Gov. John Kasich has said he intends to sign the bill. The U.S. Environmental Protection Agency’s new proposed carbon emission rules for power plants could also affect future auctions. Energy efficiency and renewable energy programs could curb compliance costs—if standards were to continue. Each May, grid operator PJM holds its base residual auction to make sure enough electricity will be available for peak needs three years into the future. PJM’s territory sprawls across all or parts of 13 states and the District of Columbia. It includes Ohio, along with parts of Illinois, Indiana, and Michigan. The charges generally make up 10 to 15 percent of a customer’s electric bill. The rest of the generation portion of a customer’s bill is mostly the cost of buying the electricity on the market. 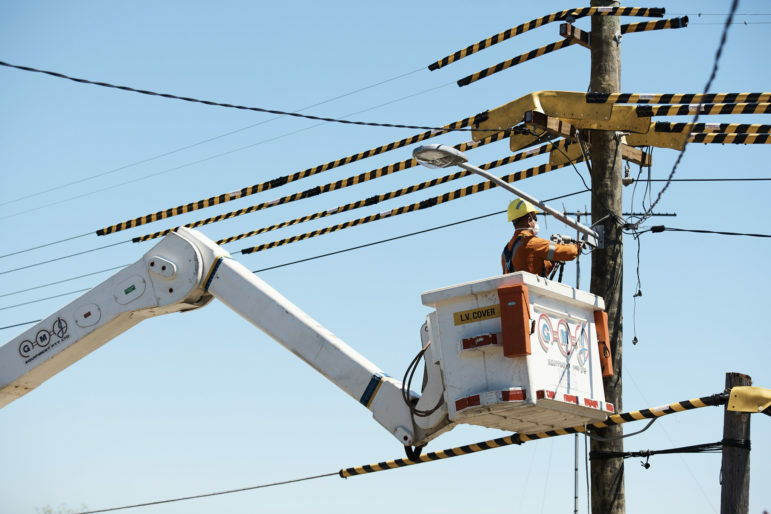 Customers also pay utilities for delivering electricity through the grid and for any extra charges, or riders, allowed by the Public Utilities Commission of Ohio (PUCO). As a result of May’s auction, the 2017/2018 capacity price for Ohio and most of the rest of PJM’s area will be $120 per megawatt-day (MW-day). Before then, there will be ups and downs, from as low as roughly $126 per MW-day now to as high as $357 for some customers. The price for 2016/2017 will be around $114 for some parts of Ohio and $59 for others. Recent rule changes at PJM explain the jump from 2016/2017 to 2017/2018, says PJM’s executive vice president for markets, Andrew Ott. 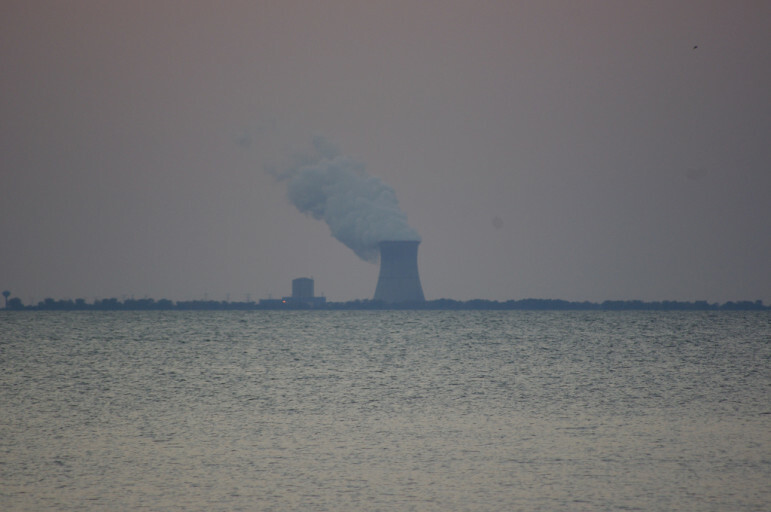 The new rules restrict imports of electricity from outside the PJM area. 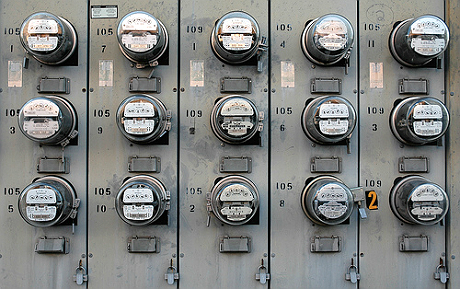 Essentially, bidders must have advance commitments to bring that power into PJM’s territory. “Last year the imports spiked to 7,500 MW, and this year it’s back down to 4,500, which is more consistent which what we’ve seen historically,” Ott notes. That’s more in keeping with “what the market can carry” reliably. PJM rule changes also reduced bids of demand response. Those bids make a commitment to cut electricity use back at peak periods throughout the year. 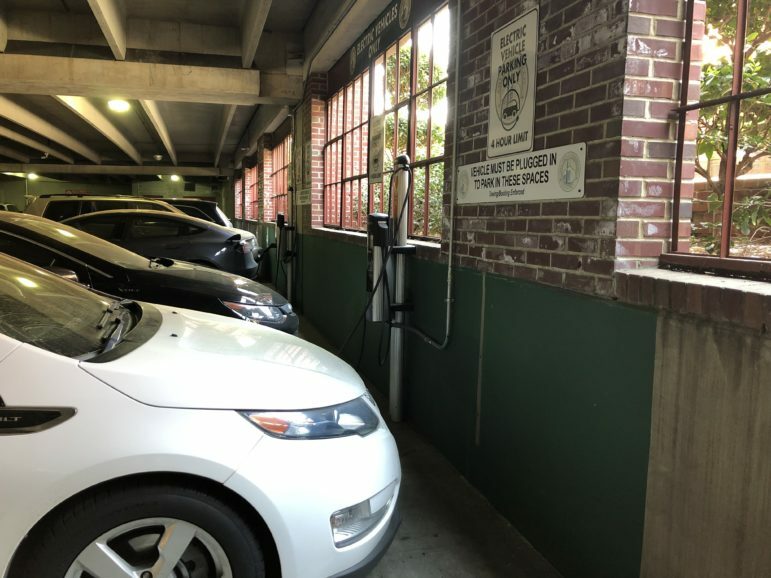 While capacity prices will rise, energy efficiency “was an important factor in keeping those prices lower than they would have been otherwise,” says attorney Nick McDaniel at the Environmental Law & Policy Center. This year’s auction cleared 1,339 MW of energy efficiency. That increase — just over 200 MW from last year — reflects a “consistent growth trend,” Ott says. More than half of that energy efficiency came from the PJM areas that serve Ohio and Illinois. Ohio’s energy efficiency standard has been an important factor, says McDaniel. Utilities’ rate plans let them pass along costs through a rider on customer bills, as long as the programs are cost-effective overall. So far, utility filings show that Ohio’s energy efficiency standard has saved consumers more than $1 billion. The Ohio Manufacturers’ Association says that’s about a 2-to-1 return on customers’ investment. Because customers already pay for energy efficiency, it costs utilities very little to offer it in PJM’s auction, McDaniel says. Yet any energy efficiency that clears the auction gets the full $120 per MW-day price. That should produce more than $13 million in revenue. “The payback from the capacity auctions for energy efficiency is essentially a bonus,” says McDaniel. “The majority of it will flow back to customers through the energy efficiency rider,” McDaniel explains. In other words, utilities should use the money to offset future costs for the energy efficiency standard—if the standard continues. If the standard does not continue, the revenue’s ultimate use is unclear. In addition to lowering customers’ bills, energy efficiency applies downward pressure on prices, McDaniel says. Basically, the least expensive resources clear the auction before those costing more. “Low-cost energy efficiency bid into the auction offsets higher-cost resources, and therefore lowers capacity prices overall, which lowers electricity bills for customers,” says McDaniel. 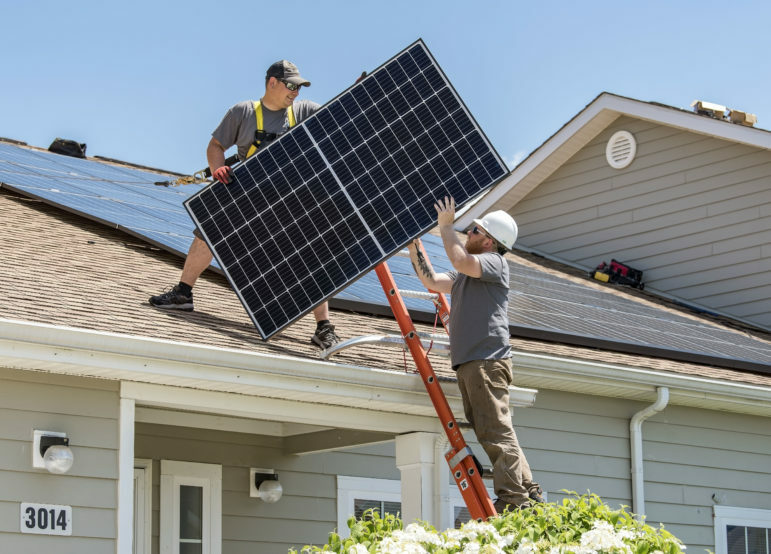 Put another way, energy efficiency and supply side resources are “directly transferable,” says Max Neubauer, a senior policy analyst at the American Council for an Energy-Efficient Economy. Any of them can meet expected demand. “In general, lower clearing prices in the capacity auction are great for consumers, but not good for owners of power plants,” McDaniel says. PJM would welcome having even more energy efficiency in the market. “Certainly we’ve had those discussions with the various state authorities to make sure that the word gets out that having the energy efficiency come into this market is beneficial both to the market and to customer,” Ott says. SB 310 will likely change things. For starters, it freezes the renewable energy and energy efficiency standards for two years. During that time, a commission will review their costs. Meanwhile, what happens with energy efficiency in the PJM auction is uncertain. When the standards resume for 2017, they will eliminate the in-state requirement for renewable energy. And more things will count as energy efficiency, even if they don’t reduce customer demand or satisfy PJM’s rules. That can limit benefits in future PJM auctions. “SB 310 is looking to limit the amount of energy efficiency that we’re going to see going forward,” says McDaniel. The EPA’s new carbon emission rules for power plants raise more questions. The proposed rules aim to curb power plants’ carbon dioxide emissions 30 percent nationwide by 2030. Carbon dioxide and other greenhouse gases contribute to climate change. The proposed target for Ohio is 28 percent, and states have flexibility in deciding how to meet the targets. Under the current timeline, Ohio and other states won’t have to take formal steps to comply before 2017. States will have flexibility in deciding how to meet the carbon emissions target, and energy efficiency and renewable energy could help in Ohio. For one thing, the proposed rules’ targets are measured from 2005 levels. Thus, Ohio will get credit for progress it made under the energy efficiency and renewable energy standards. 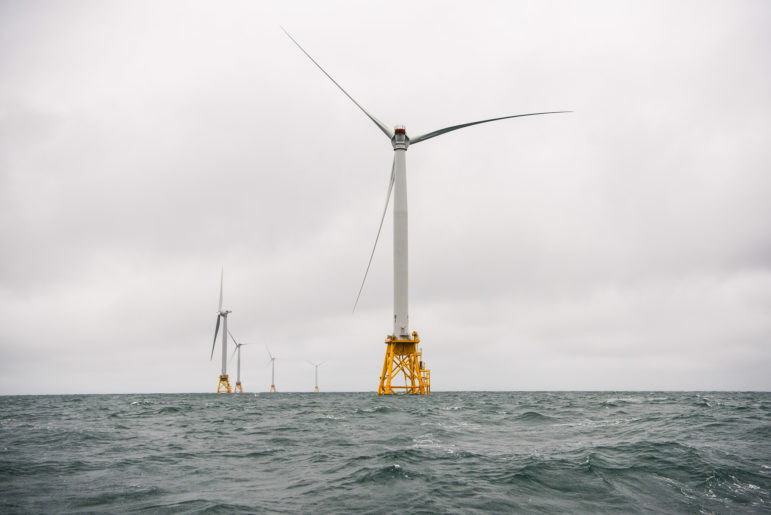 “It’s not going to have to start from scratch to reduce emissions,” says research analyst Rebecca Gasper at the World Resources Institute (WRI) in Washington, D.C. However, having the energy efficiency and renewable standards frozen and then altered presents problems. 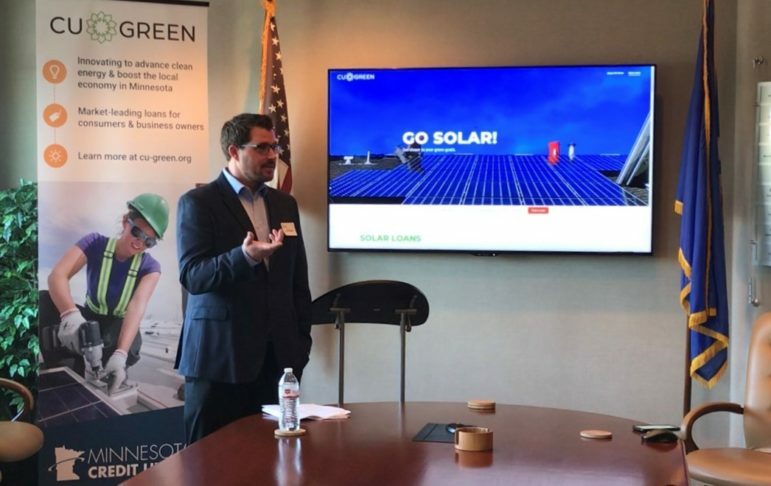 Before SB 310 passed, energy efficiency and renewable portfolio standards helped put Ohio on track “to meet or even exceed ambitious standards from U.S. EPA,” says Gasper. However, that conclusion relies on a WRI analysis prepared last year before the standards changed. It’s unclear what additional progress, if any, Ohio will make while the freeze is in place, says Demeter. 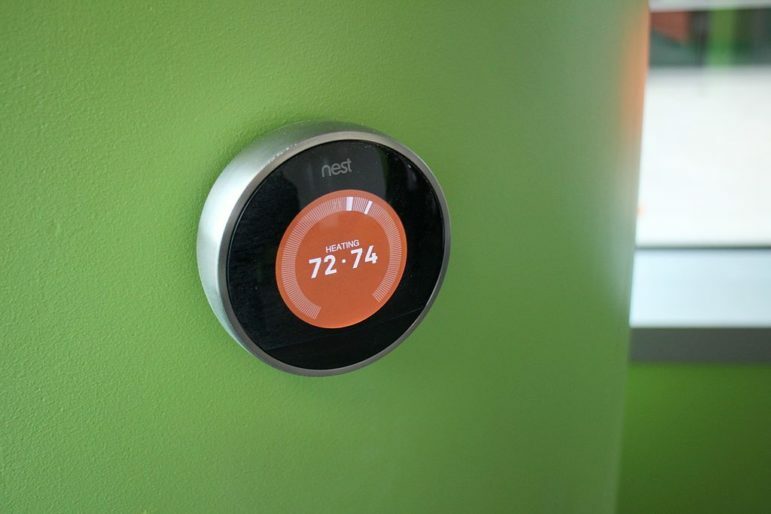 The effect could be “no new energy efficiency savings for the next several years and possibly longer, depending on the outcome” of SB 310’s study commission, notes Neubauer. Problems will continue even after the standards kick back in, says Dan Sawmiller of the Sierra Club’s Beyond Coal campaign. “Our standards are not going to reach the level of compliance that was predicted earlier,” says Sawmiller. That’s because SB 310 counts more things for energy efficiency even if they don’t substantially reduce carbon dioxide emissions and customers’ energy usage. With less total cuts in emissions, utilities and power plants would then have to pursue higher-priced ways to comply with the new rules—and customers would ultimately pay the costs. “I still think we really shot ourselves in the foot there,” says Sawmiller. The Environmental Law & Policy Center, Ohio Environmental Council, Sierra Club and the American Council for an Energy-Efficient Economy are members of RE-AMP, which publishes Midwest Energy News.